The Second International Congress on Science and Technology for the Conservation of Cultural Heritage was held in Seville, Spain, June 24-27, 2014, under the umbrella of the TechnoHeritage network. TechnoHeritage is an initiative funded by the Spanish Ministry of Economy and Competitivity dedicated to the creation of a network which integrates CSIC and University groups, private companies and end users such as foundations, museums or institutions. The network’s purpose is to foster the creation of transdisciplinary (and not only multidisciplinary) initiatives focused on the study of all assets, movable or immovable, that make up Cultural Heritage. The congress was dedicated to six topics, namely (1) Environmental assessment and monitoring (pollution, climate change, natural events, etc.) of Cultural Heritage; (2) New products and materials for conservation and maintenance of Cultural Heritage; (3) Agents and mechanisms of deterioration of Cultural Heritage (physical, chemical, biological), including deterioration of modern materials used in Contemporary Art and information storage; (4) Development of new instruments, non invasive technologies and innovative solutions for analysis, protection and conservation of Cultural Heritage; (5) Security technologies, remote sensing and G.I.S. for the protection and management of Cultural Heritage; and (6) Significance, social value and policies for the conservation of Cultural Heritage. 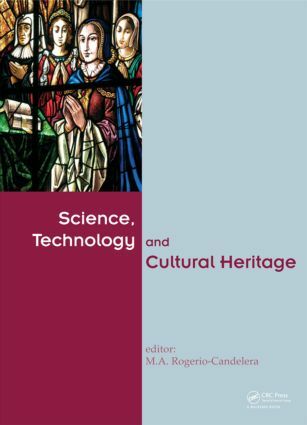 This volume publishes a total of seventy-two contributions which reflect some of the most recent responses to the challenge of cultural assets conservation and the application of different scientific approaches to the common goal of the conservation of Cultural Heritage. Microbes, science, art and conservation, who wins the game? Production of novel biocides for Cultural Heritage from Bacillus sp. Holder of a PhD in History (Prehistory and Archaeology) and an Extraordinary Doctorate Award from the University of Seville, the editor has been a professional archaeologist for several years and, since 1999, has worked for the Instituto de Recursos Naturales y Agrobiología de Sevilla of the Spanish Council for Scientific Research (CSIC), investigating biodeterioration and non-invasive recording of Cultural Heritage, particularly rock art. He has conducted research on several painted tombs of Roman and Etruscan necropolises and at some Portuguese and Spanish rock art sites, including the Altamira Cave.